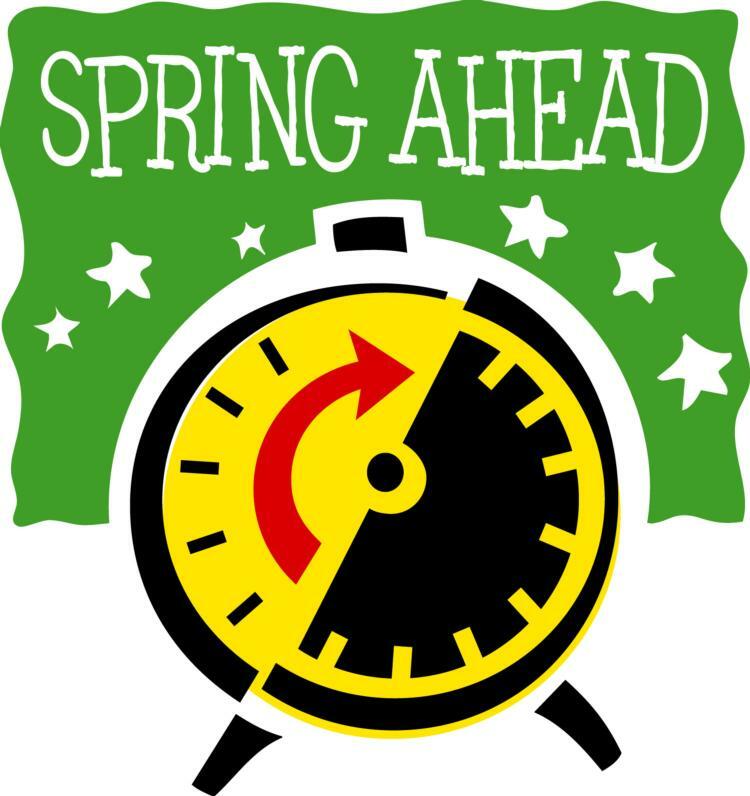 Shed Toonie racers on Sunday March 12, lets not forget we have to turn our clocks forward - so don't be late! 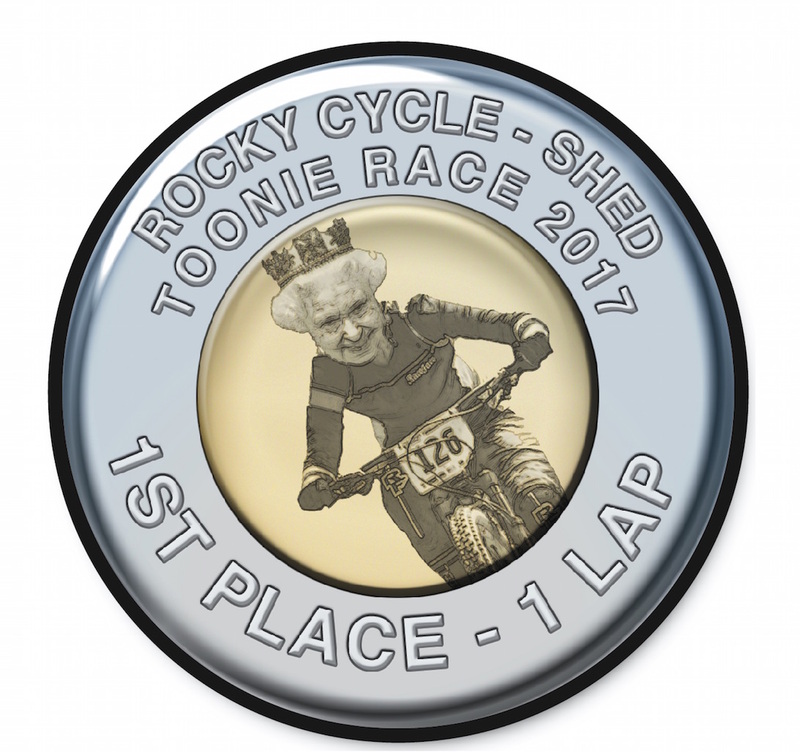 We are all set for the Rocky Cycle Shed Toonie XC Race this Sunday, March 12. Registration is at 9am, race starts at 10am. Meet at the Meadows at Delta Watershed Park. Win a swanky Toonie medal or some cool swag! Please register HERE. 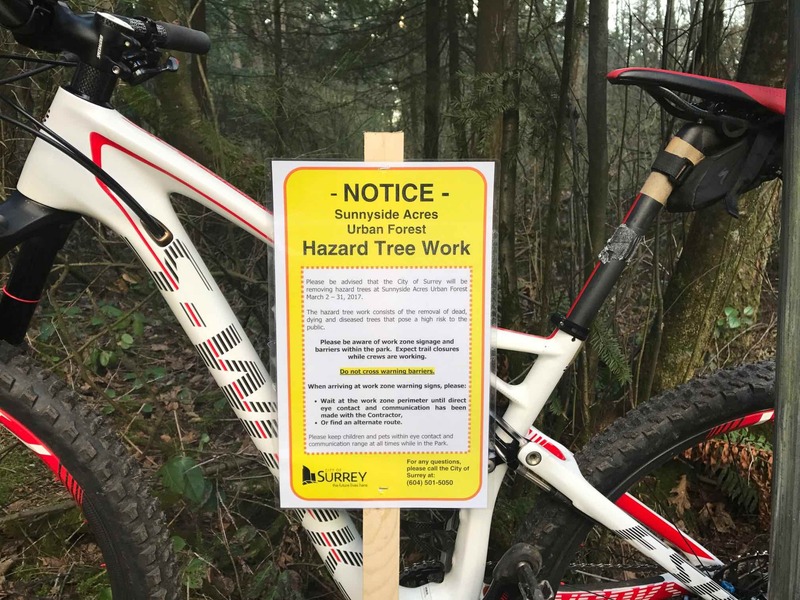 As you may have noticed, fallers have begun bringing down trees in the South Surrey Bike Park, and throughout the entire Sunnyside Acres Urban Forest, (SAUF) of which the SSBP is apart. Every 13 years the City of Surrey, with a group of professionals, assess every treed park to determine which trees pose a hazard to citizens, and which need to be removed to reduce the hazard. The assessment determined that 900 trees needed to be removed, 400 in the SSBP. Although this is saddening news, SORCE understands the need for the City of Surrey to mitigate risk. Rest assured, that almost all of these trees are completely dead without any foliage. We are working closely with the City to identify any trees we don't think should be removed, and have had success in lowering that number. Please be aware of this work going on in the forest over March, and be respectful and careful around the workers doing their jobs. This fall, the City of Surrey will plant 1800 native species trees to replace the ones being removed. Thank you for your cooperation. Garvey Allisen. 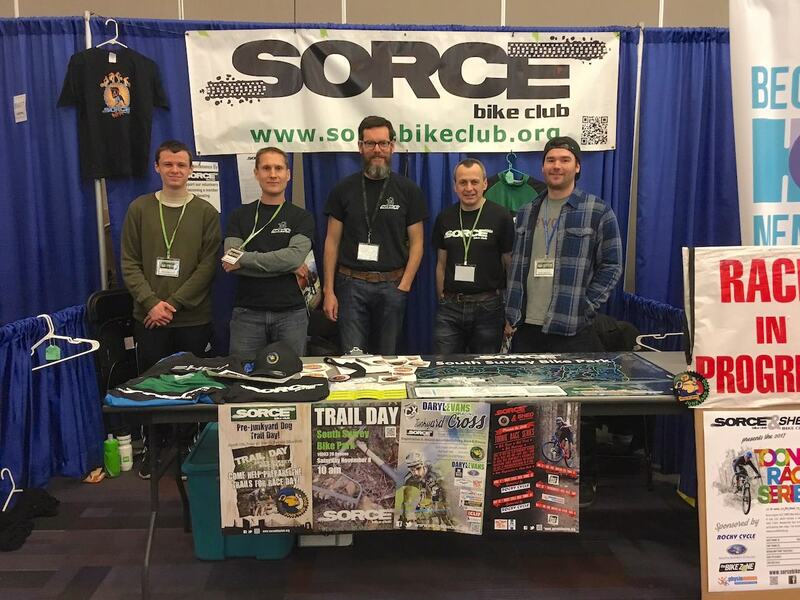 Our crew at the Bike Show under the sails for the weekend, spreading the good word about trail advocacy, our Toonie series, Kids Race and the JunkYard Dog. 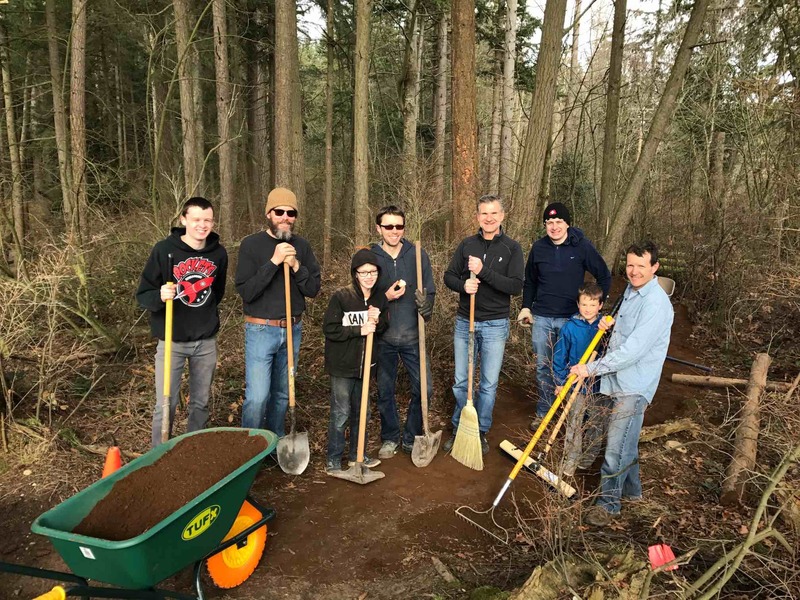 We had enough volunteers to refresh upper Dyn-o-mite Roll, repositioned a few more JYD posts, swept up the gravel by the picnic table and entrance, raked the trails of organic debris and consumed lots of coffee and Cobs treats to keep the team going. Thank you all for a great first Trail Day of 2017. 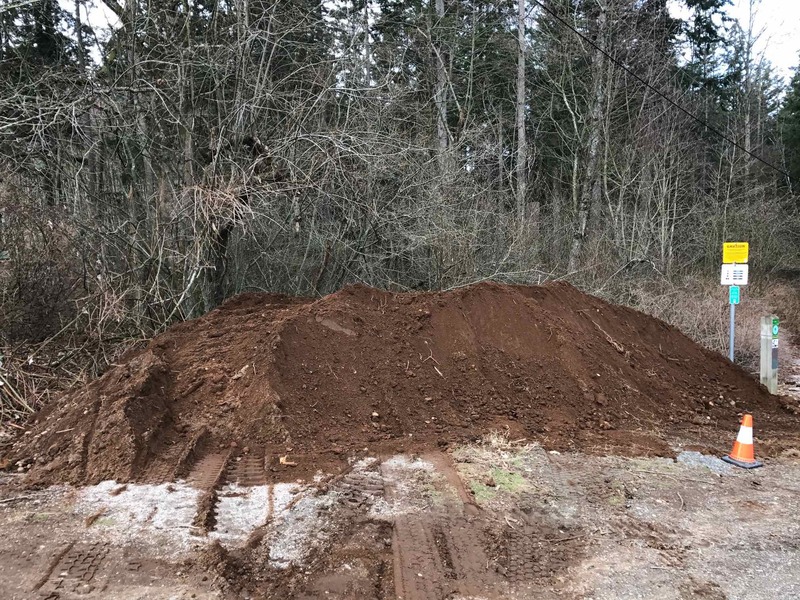 The City of Surrey delivered a huge pile of our golden dirt for this weekends Trail Day. Come out on Saturday, February 25 for 9am and give us a hand to move this colossus into the trails to repave our beloved flow trails. Coffee and treats to get you started. 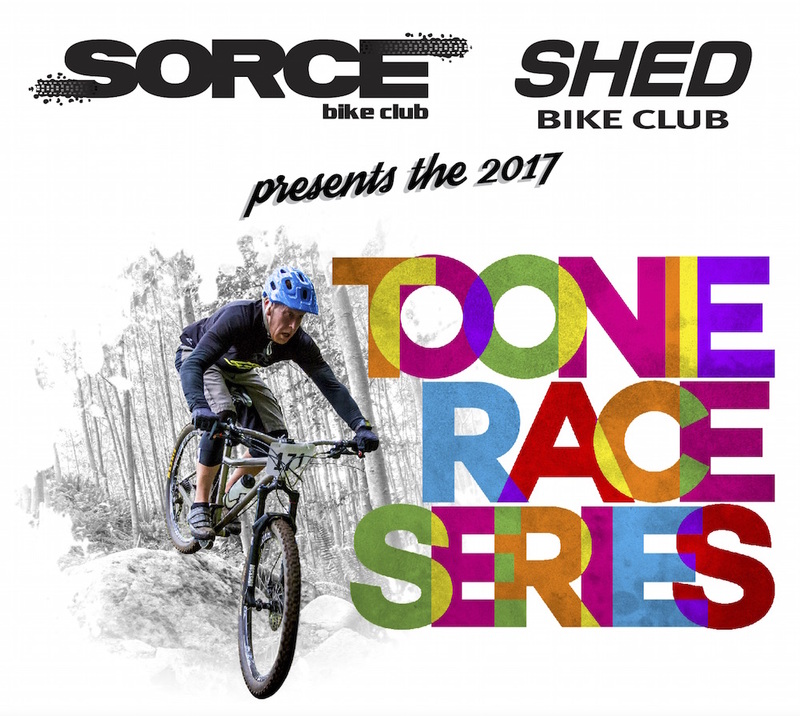 SORCE is proud to announce the 2017 Toonie Race schedule. We have mixed it up and added 2 new races, the Invergarry Pump Track Race in May and the first ever SHED Cyclocross Race in September. 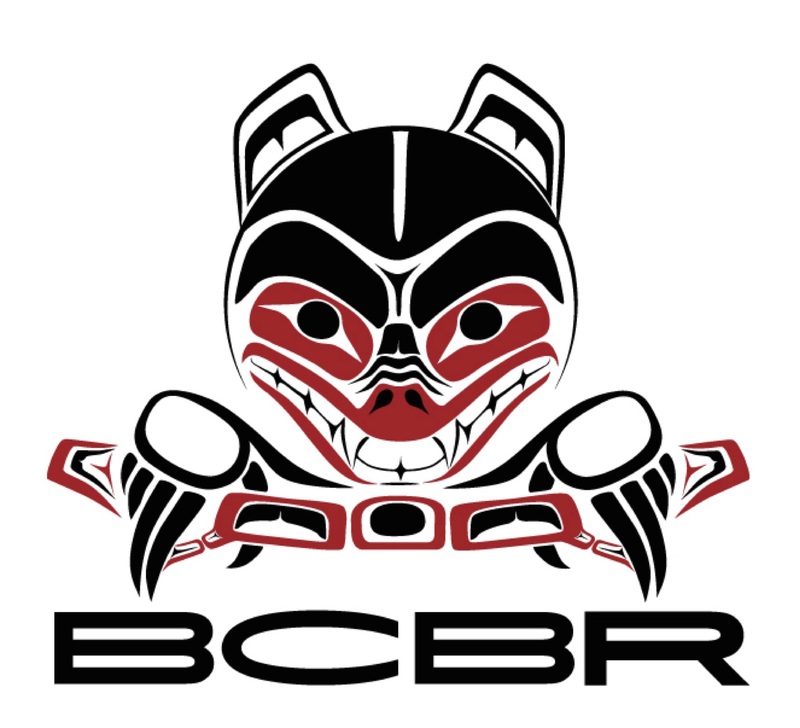 Full details under Race & Events or click HERE. The new SSBP signs have been hanging out in my house for some time, waiting for better weather to install. The map now includes the new JunkYard Dog post numbers, the Loop 'n Chute JYD extension, legend and logo updates, and layed over a high resolution satellite view of our park. There is a QR code on the sign to load directly to your mobile device. 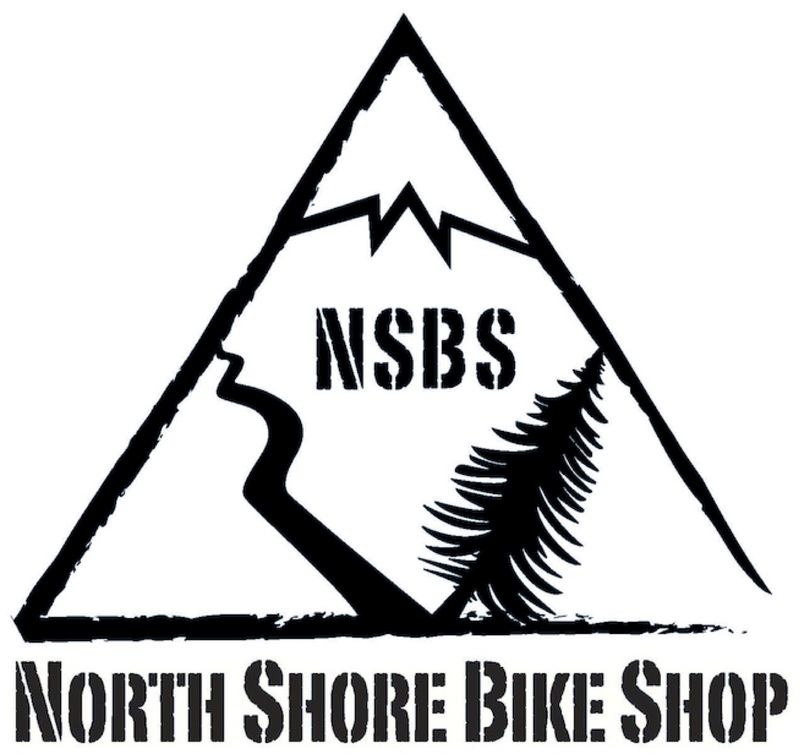 In the mean time, you can download the SSBP Map - January '17 by clicking HERE. 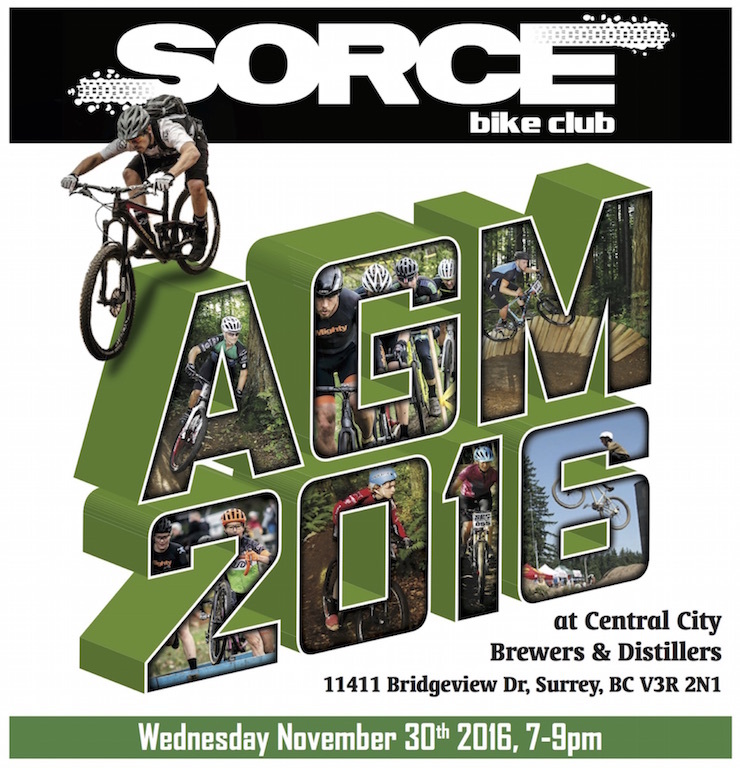 The SORCE Annual General Meeting was held on November 30 at Central City Brewery. We introduced the new 2017 adult t-shirts which were handed to all those members who renewed for the coming year. The pre-meeting had a slideshow on the BIG 70" screen of highlights of 2016 - Toonie, JYD, JYC and Kids races, trail days, recap of the plethora of posters and behind the scene shots that are seldom seen. Everyone was served a complimentary beer from our most amazing sponsor, Central City Brewery and Distillers. The meeting started with a Power Point presentation, with individual presentations from each Director. You can view it HERE. Minutes of the entire meeting can be found HERE. Presentations were made to thank our many generous sponsors and can be viewed HERE. Elections for the 2017 SORCE Executive were held and we are so very pleased that ALL positions were filled and can be found HERE. The new team is busy making plans for the coming year and will have that posted as soon as we've sorted that out. Come and see what a great year 2016 was for SORCE, our plans for 2017, and election of officers for the coming year. Receive a complimentary beer with your 2017 membership renewal! JunkYard Cross - What a day!